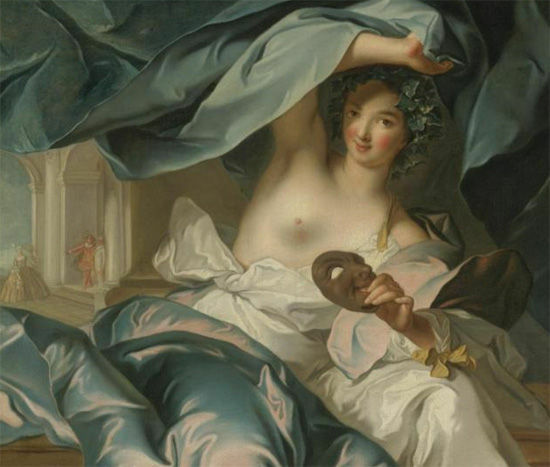 Before Marie Anne and Louis XV even became an item Madame de Châteauroux had her reservations about jumping into the royal bed. This is hardly surprising given that royal mistresses tended to be discarded literally on a whim. Therefore, she drew up a list of demands to be met before she gave in to the king's advances. The court was absolutely scandalized; Versailles had never witnessed so brazen an approach from a woman who had not even been formerly recognized. Madame de Montespan's greed had been infamous but she was already established and had given Louis XIV seven children. The demands posed by Marie Anne were significant and extensive. First, she wanted to be granted the title of duchesse with all its privileges and splendour. This was possible due to the fact that she had been widowed prior to meeting the king; thus, the monarch could bestow the honour on her without risking making a potentially problematic husband a peer (which was exactly what prevented Louis XIV from doing the same to Madame de Montespan). This wish was fulfilled on 22 October 1743 when she was given the title of Duchesse de Châteauroux - the duchy came with an annual income of 80.000-85.000 livres. At court the title gave her the right to sit on a tabouret - a stool without a back - in the presence of the royal family. Hitherto, she had been obliged to stand since her married title was the Marquise de La Tournelle. The annual income alone gave her a far greater freedom than before since the only way women at court could earn money was through official posts. According Louis Thérèse Latour her exact demand was for a house "as sumptuous as Madame de Montespan's had been". This was some demand indeed. The Château de Clagny had been truly grand and was greatly admired at the time. It might eventually have become reality but for the time being she was instead presented with the apartment of the royal favourite. Perhaps, if she had lived for longer she would have been granted her own domain. Louise Julie de Mailly had been the king's official mistress before Marie Anne supplanted her. Not unsurprisingly, Marie Anne feared that Louis XV might be tempted to go back to his former lover if she remained at court. The would-be favourite therefore acted in a rather ruthless manner considering that she was dealing with her sister. Marie Anne demanded that Louise Julie was sent from court into exile and that Louis XV broke contact with her. This Louis XV agreed to but granted Louise Julie one final dinner before they parted. Marie Anne further stated that if the king ever resumed his contact with his former mistress then he would forego Marie Anne's company. At this point her influence over the king appeared to have been very strong; he agreed and never admitted Louise Julie into his confidence again - not even after Marie Anne's untimely death. Louis XIV's children by Louise de La Vallière and Françoise-Athénais de Montespan were famously legitimized and given both prestigious marriages and key positions at court. However, the sun king's successor was less enthusiastic about acknowledging the fruits of his extra-marital affairs. Therefore, Marie Anne stipulated that should she bear the king any children they would be formally legitimized. This was particularly important since Marie Anne was unmarried; thus any children by the king could not fall back on the paternity claim of her husband. Nevertheless, the two never had any children. This might have been due to the fact that their union was cut short by her death but it is also possible that Marie Anne could not become pregnant. She had no children by her late husband and there is no evidence that she ever conceived at all. Due to the advantages connected with the title of maîtresse-en-titre there was no particular need for the king to woo his mistresses. However, Marie Anne had no intention of merely slipping into the king's bed and risking becoming a "one-night stand". Rather she would be courted - and publicly, too. There were those who thought it beneath the king to put himself in such a position. Finally, Marie Anne wanted formal recognition of her status as maîtresse-en-titre. This would serve as another shield against public humiliation; after all, it was better to become the king's official mistress than to be counted as another woman who failed to interest the king for more than one night. This was a minor claim but one nonetheless. Marie Anne had no carriages of her own and was apparently loath to use those of the king. In itself this was not an extravagant demand since most high-ranking courtiers had their own carriages emblazoned with their coat-of-arms. Louis XV was happy to oblige and did so promptly. Being himself a great horseman he immediately sent her six magnificent horses as well as a berlin for them to pull.